Sarah O'Brien is a former professional pilot turned Michigan State University MSW candidate. 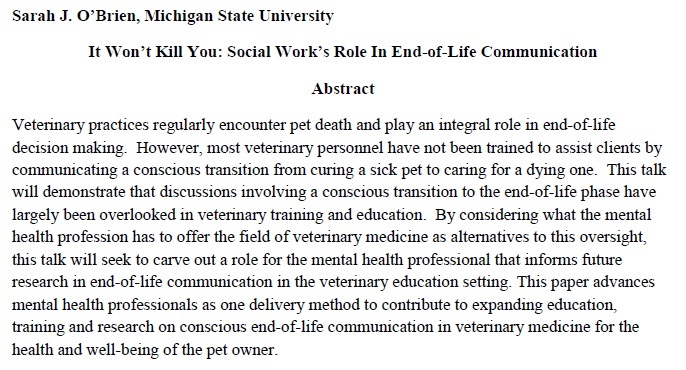 Her research interests include Veterinary Social Work and Thanatology. 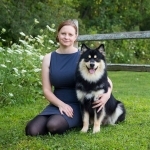 Specifically, she is interested in how a veterinarian's relationship with death colors end-of-life conversations surrounding pet loss and terminal illness diagnosis.